- Confession: I told C there was a dinosaur outside so that he would lay down and go to sleep. I try to use that trick sparingly. It works fantastically, but I feel bad doing it. - C learned how to climb out of his crib recently. He only ever did it occasionally and just when I was sitting next to him at bedtime; never during his nap or in the morning. He started getting a bit more confident, and would climb out on his own when he and LB played in his crib during the day. I decided we needed to convert his crib to a bed soon, and then, that night, he fell out headfirst and ended up with a black eye. I was sitting right next to him when it happened. Go, me. He is now in a bed and he loves it. I don't mind it, because he still naps and, for the first two mornings, still called for someone to get him out of his room. His crib is one we bought for S, and all three kids have used it, but this the first time that we've ever used it as a toddler bed. S went straight to a twin so that LB could have it, and LB got a new crib when C was born. - I feel like we're in full kid-mode over here. Every last hint of babyhood is quickly disappearing. I love the baby stages, but I love where we're at right now. I could almost say we're done with babies completely. Almost. - That "almost" might be why I'm having a hard time whittling down the baby clothes I have in storage. I'm trying to hold onto my favorites, because sentimental brain often reigns, but my logical side pops up every time I try to give away more than my most treasured. I'm embarking on a huge deep cleaning spree right now, so we'll see where that takes me. - How long do you hold onto unpacked boxes after a move before you just toss them without looking inside? Two years? Three? Asking for a friend. 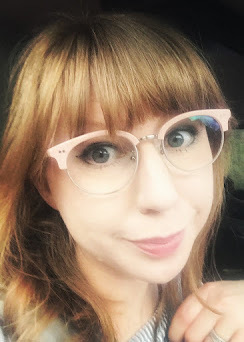 - I dabble in spring cleaning, and occasionally toy with New Years resolutions, but fall seems to be when I make the biggest overhauls everywhere. Maybe it has to do with the start of a new school year, even though I've been out of school for so long? Add in fall cooking and cooler weather, and fall is quickly making its case as my favorite season. - I think this year will finally be the year I start making meals in advance and freezing them. And I'm laughing as I type this. Meal planning is something I want to be better at, but I never seem to get a grasp on it in all the years I've tried. I'll make it a goal. - I've been thinking about it, and I really think that Doogie Howser was left wide open for a spin-off. Come on, NPH. I'm unsure as to why I don't already own the complete series. I'm feeling the need to remedy that. Are sitcoms what they used to be? Does that even need to be a question? You guys, what happened to TGIF? - Speaking of things to watch, we haven't had the Olympics on non-stop, but we've had them on quite a bit. There have been so many firsts and I love telling my kids why they're significant. Also, can Gabby Douglas's Barbie please be made available for purchase? 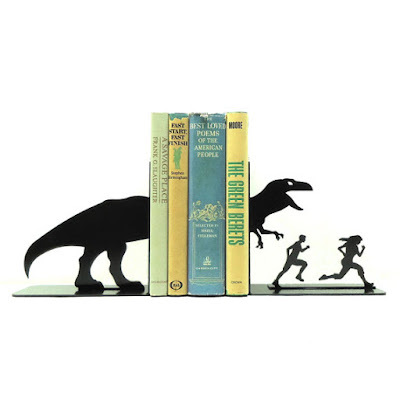 - I've been looking for bookends lately. I currently keep my kids' books on shelves in their closets and, when they're not all over the floor, they tip over. Finding the perfect bookends is harder than I would have thought. I just stumbled upon this shop, though. Worth the $65?